A fixed quote price is provided for the project. This is payable only upon project completion. Intellectual property (IP) ownership depends on the agreement. Here initial estimated quote for the labor and materials is provided but the client pays only for costs spent on time and materials. All IP is owned by the client. 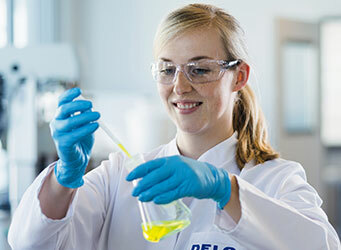 The client may retain one or more of R&S Chemicals’s scientist to work on the designated projects full-time. The client is invoiced periodically (on a mutually agreed schedule) for the contracted amount. This also includes the cost for materials. The advantages of this type of contract are reliable capability, flexibility and efficiency. 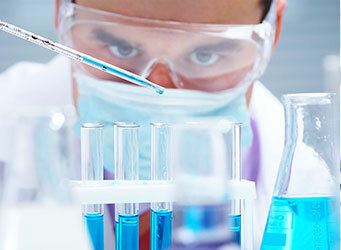 R&S Chemicals also offers joint venture contracts where both parties share the burden of the research and development. All IP is shared by both parties. R&S Chemicals offers each client an excellent working relationships created by timely completion and excellent customer support of each project. Our client base consists of both large and small companies in several industry verticals such as the pharmaceutical industry, the biotechnology industry, drug discovery groups and research academic institutions. From large scale multi-year collaboration agreements to small short-term development contracts, R&S Chemicals offers each client a customized solution that best fits the customers needs. With over 15 years of operating experience with a diverse range of clients, our executive team will provide ongoing project management from the start to the finish of each project. This offers our clients excellent visibility as to the progress and the milestone achievements and provides us the ability to adapt to any requested changes as well as to resolve any problems quickly and effectively. Each project is electronically tracked along with periodic client and internal updates leading to reviews which allow for managing and charting any required metrics. 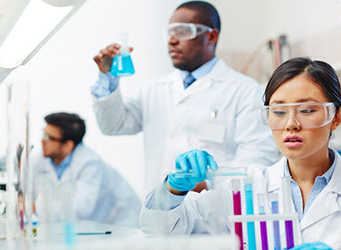 The R&S Chemicals staff consists of scientists, laboratory technicians and support staff that have extensive experience in chemical research and development. We believe in offering and delivering quick and cost-effective results for our clients. The selective hiring, in-house training and development and high retention rates of the employees have led to a client-centric culture throughout the Company. Our company’s credo is to provide products and services of the highest quality at the most reasonable prices. The local presence and the established tenure of its management and the company offers our clients several advantages. From complex benefits such as Intellectual Property protection, Quality Control, Regulatory Requirements to simple benefits such as real-time interactions, On-time material procurement, product delivery times, and being local relieves our clients of the non-productive tasks and lets them concentrate on the matters of importance. We are local and we are there when you need us.